The Senator’s political “evolution” may lead voters toward candidates with a more consistent track record in a diverse Democratic primary. After Senator Kirsten Gillibrand announced her presidential candidacy, social media made sure she and Al Franken were trending together. The fault lines in the debate that has been raging for over a year were predictable. Gillibrand’s detractors (full disclosure: I’m one of them) questioned her decision to push a democratically elected senator out of office against the wishes of his constituents, based on questionable accusations without an investigation. Gillibrand’s supporters called her “principled” and largely attributed the blowback to an unenlightened discomfort with a powerful woman speaking out against a man. A narrative is already taking shape. 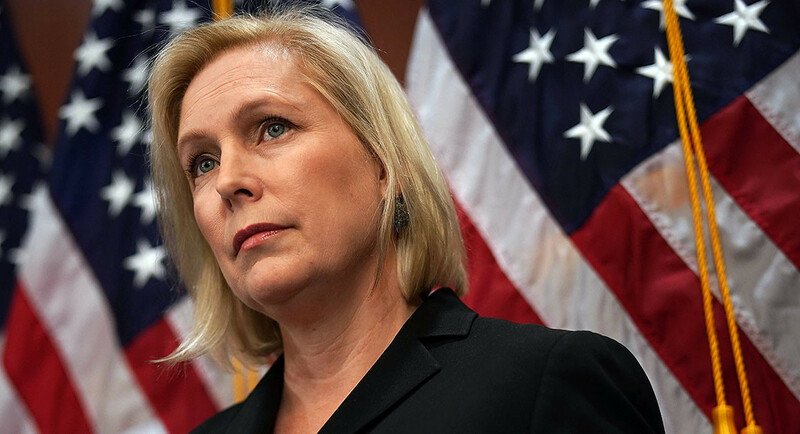 If Gillibrand doesn’t perform as well as expected for a New York Senator with considerable resources, many will undoubtedly blame misogyny or claim that voters unfairly punished her for doing the right thing on Franken. But before they do, they should consider another reason Gillibrand may not have widespread appeal: her lack of authenticity. Based on her poll numbers, many Democratic primary voters are just getting to know Gillibrand. And the Senator they’re meeting on the campaign trail sounds like a tried and true progressive. She’s the most anti-Trump vote in the Senate and the most vocal Congressional proponent of the #MeToo movement. But dig a little deeper and you’ll find that Gillibrand hasn’t worn the title of “progressive” for very long. She calls for the abolition of US Immigrations and Customs Enforcement (ICE) today, but she previously voted to increase ICE’s funding and opposed amnesty for illegal immigrants. Before she became a leading voice against gun violence, Gillibrand had an “A” rating from the National Rifle Association (NRA) and boasted about keeping guns under her bed. Both ideological shifts conveniently coincided with Gillibrand moving from her Congressional seat in a largely rural district to being appointed to Hillary Clinton’s Senate seat, which represents a more liberal constituency, in 2009. To be fair, politicians often evolve on issues during their career and there’s nothing wrong with that. It’s possible Gillibrand’s epiphanies were sincere. But there is good reason to believe otherwise. For starters, it’s inaccurate for Gillibrand to say that she only had the lens of upstate New York to shape her perspective. Prior to her epiphanies, Gillibrand had lived in Los Angeles and worked in Manhattan—places where immigration and gun violence were undeniably part of the local conversation. The notion that Gillibrand—an attorney from a powerful political family who was savvy enough to win a Congressional seat—hadn’t been exposed to diverse perspectives on major political issues until her 40s strains credulity. The fact that her 2020 campaign is a broken promise doesn’t help. Many presidential candidates equivocate or say “they’re thinking about running” before a formal announcement. But few flat out lie as Gillibrand did during an October debate. And already, in Iowa, Gillibrand is selling a carefully crafted origin story by playing up her small-town roots, her love of RVs, and her interest in Nascar. But how many small-town girls graduated from a boarding school with a hundred-million-dollar endowment, or studied in Beijing and Taiwan? There’s nothing wrong with coming from a privileged background. But as voters learn more about Gillibrand than the image she’s currently presenting, she may have a hard time connecting with those who are looking for a truly progressive candidate or who value authenticity. If Gillibrand is standing next to Senator Elizabeth Warren on a debate stage, why wouldn’t progressives be more drawn to Warren’s past as a consumer advocate than to Gillibrand’s work defending tobacco companies. Why wouldn’t voters who value honesty as a contrast to Trump prefer Joe Biden or Bernie Sanders? That isn’t to say Gillibrand doesn’t have a path to success. With her “zero tolerance” policy on sexual misconduct and divisive tweets about intersectional feminism, she is clearly relying on women to propel her to the White House. Since women make up the majority of the Democratic electorate, it’s a reasonable strategy. It could work. But with Warren, Kamala Harris, Tulsi Gabbard, and potentially other women with more consistent track records in the race, it probably won’t. And if Gillibrand falters, those who are eager to blame others should take a closer look at the candidate herself. She has given voters plenty of reasons to be skeptical that have nothing to do with Al Franken.